For other uses, see Statutory law and General Statutes (disambiguation). 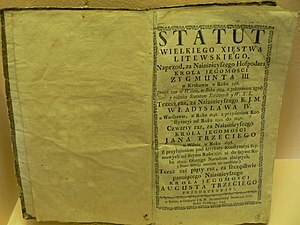 In virtually all countries, newly enacted statutes are published in a Government gazette which is then distributed so that everyone can look up the statutory law. ^ a b c Black, Henry Campbell (1990). Black's Law Dictionary, Sixth Edition. West Publishing. p. 1410. ISBN 0-314-76271-X.